From 20th to 24th April 2017, Berlin will be host to ESN's Annual General Meeting, the largest and most important annual meeting of the network. The event is organised every year by the Erasmus Student Network. As a de-facto representation of the Erasmus generation, the AGM is the largest European student conference focusing on the theme of mobility, with over 700 student volunteers present. Organised by local member associations from Germany and France, the prestigious event will be held in Berlin this year, turning the city into the ‘Capital of Erasmus’ for four days. AGM Germany 2017 carries special significance, as we celebrate the 30th anniversary of the Erasmus programme. As an acknowledgement of this momentous occasion, a panel discussion will be organised under the theme Strangers to Friends: Three Decades of Erasmus Mobility. The panel will be open to the public and tackle topics such as the reasons for the success of Erasmus and the expectations of students regarding its future. Another central feature of the AGM will be the Mobility Fair, where student representatives from hundreds of European universities, along with companies like the Deutsche Börse Group, will be present to showcase job, internship and study opportunities abroad. The fair takes place from 11:00 to 17:00 on Friday 21st in the Henry Ford Building of the Freie Universität Berlin. All local and international students and pupils are invited. To follow the event on social media, use the hashtags #AGMgermany and #THISisESN. 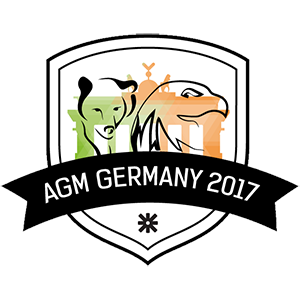 Updates will also be posted through facebook.com/AGMgermany2017 and twitter.com/ESN_Int.